Servants of Gravelord Nito, the First of the Dead. They serve their master by spreading disaster to their neighboring worlds through the use of Eyes of Death. 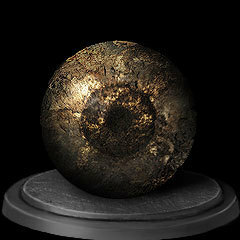 The purpose of this covenant is to infect other players' worlds with extra enemies, known as Gravelord Black Phantoms, while also inviting those players to invade the host. To join, seek out Gravelord Nito's sarcophagus in the Tomb of Giants. Possession of at least 1 Eye of Death is required. Gravelord Sword: Sword wielded only by servants of Gravelord Nito, the first of the dead. Crafted from the bones of the fallen. The miasma of death exudes from the sword, a veritable toxin to any living being. Gravelord Sword Dance: Miracle known only by the servants of the first dead, Gravelord Nito. Giant Gravelord swords jut out in vicinity. Nito sleeps deep within the Giant Catacombs, quietly overseeing all death, and waiting for his servants to usher in the Eye of Death. Gravelord Greatsword Dance: Miracle know only by the servants of the first dead, Gravelord Nito. Giant Gravelord swords jut out in vicinity. Many have died, and many eyes were claimed to realize the Greatsword Dance, a Gravelord ritual known only by his closest servants.